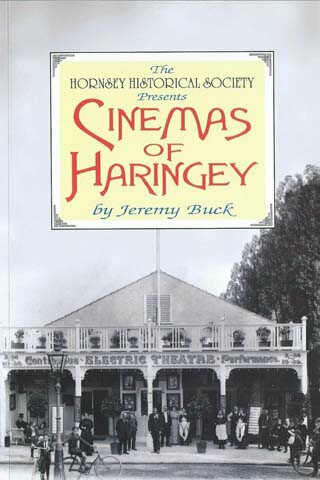 A nostalgic treat for cinema buffs, this 140-page well-illustrated book describes the histories of more than 40 cinema buildings in various parts of Haringey from the early shop conversions, purpose-built cinematographs, through the 1930s picture palaces to today’s modern multiplexes. Researched and written by a locally-based cinema enthusiast and HHS member the book includes a number of previously unpublished photographs and records the memories of local residents’ visits “to the pictures” and those of staff who used to work in these local cinemas. Jeremy Buck has been a Wood Green resident all his life and lives on the Noel Park Estate. By profession a bus recruitment consultant, his hobbies are cinema architecture and history. He is a committee member of the Cinema Theatre Association.